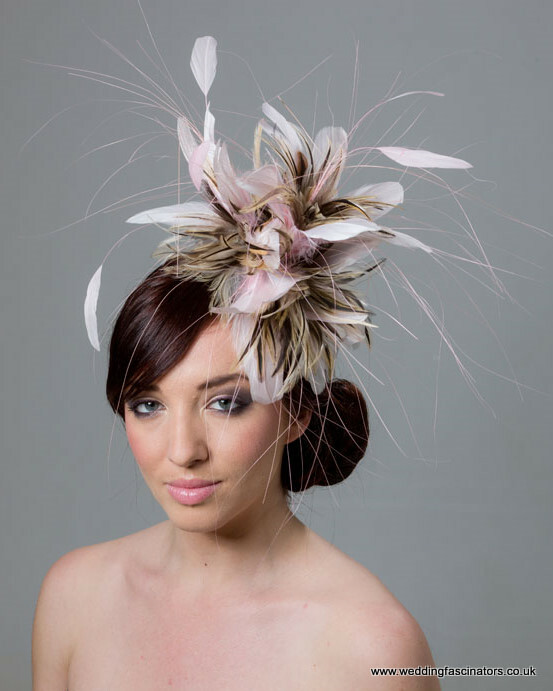 This delicate ivory fascinator is made with a combination of a sinamay base surmounted by a delicate flower with birdcage netting. It is fitted to the head with an alice band. Incredibly comfortable to wear and very smart, it is perfect for a bride or bridesmaid at a wedding.